A very good general guide to safe computer use can be found here 'Cybersecurity 101'. Keeping your computer secure is a complex but essential issue. It consists of many layers of protection against hackers and malware. There is a multitude of information on the internet about how to protect your computer, so on this page we include only the most salient points and our personal recommendations. 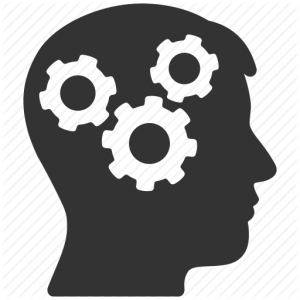 We also include links to useful resources. Treat any website you haven't visited before with a certain level of suspicion and think twice before clicking any links on the website. If you hover over a link, a box will often appear in the bottom left hand corner of your browser window with the URL the link will take you to. If the URL looks strange, don't click the link! Viruses often work their way into computers through fear. If something pops up telling you "Your computer is infected, click this link now to get rid of the virus!" chances are it's a virus. Close your internet browser using the cross in the top right (windows) or in the top left (mac), and run a virus scan from your antivirus software. Conversely, viruses can work your way into computers through the prospect of making money, in almost exactly the same way cold callers scam you with PPI claims. In these cases, it's often useful to ask yourself the question "How could they know?" If the answer is "I don't know" then it's probably a scam. Another trick employed by pop-ups is to mimic a cross at its top right that will link to the same place as the rest of the pop-up. If it isn't a genuine cross then it's quite likely nothing happens when you hover over it with your mouse (like it would normally). Unfortunately, this isn't a guaranteed method. If you're in any doubt, it's safest just to close your browser window or tab. In general, clicking on web adverts is a good way to infect your computer, so avoid doing this. These habits extend to email. A catchall term for spam email which tries to collect information about you is 'phishing' emails. See here for a guide on how to detect and deal with phishing emails. Your browser can add a level of protection to your computer. We recommend using either Mozilla Firefox or Google Chrome with the AdBlocker plugin installed. Google AdBlocker to find out how to install it on your browser. This plugin will stop many potentially harmful popups and adverts from even appearing in the first place. This is the last line of defense against a computer virus and, with the correct browsing habits, should rarely be necessary. It is very important to perform regular full scans of the computer. If you can't remember when you last scanned your computer for malware, it's time to scan your computer for malware! Purchasing Anti Malware software such as Norton Security, McAfee or Kaspersky is unnecessary and sometimes detrimental; the free options nowadays are more than adequate. 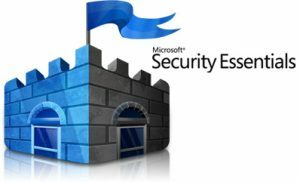 For a Windows PC, we recommend using Microsoft Security Essentials (for windows 7 or earlier) which can be downloaded for free from the Microsoft website, or Windows Defender comes pre-installed on newer machines (windows 8 or later). For a Mac, we recommend Sophos Antivirus. Sophos can be downloaded free from the Oxford University website by all students.